Beware of the "Point Molate Alliance"
The “Point Molate Alliance” has launched an effort to subvert the agreement that the City Council ratified and the Federal District Court issued as a judgment including a roadmap to develop Point Molate with 70 percent open space, including extension of the Bay Trail and an extensive shoreline park. If the Point Molate Alliance is successful in their effort to thwart implementation of the agreement, we could end up compelled by the Court ordering the sale of Point Molate to Jim Levine and Upstream for only a few hundred dollars. Is that what the people of Richmond want? Don’t help destroy Point Molate; help save it by participating in a series of site visits and community visioning workshops. See https://richmondpointmolate.org/project-overview?tool=news_feed for times, places and details. There will be a second site tour on Site Tour on July 23 (Please RSVP here! 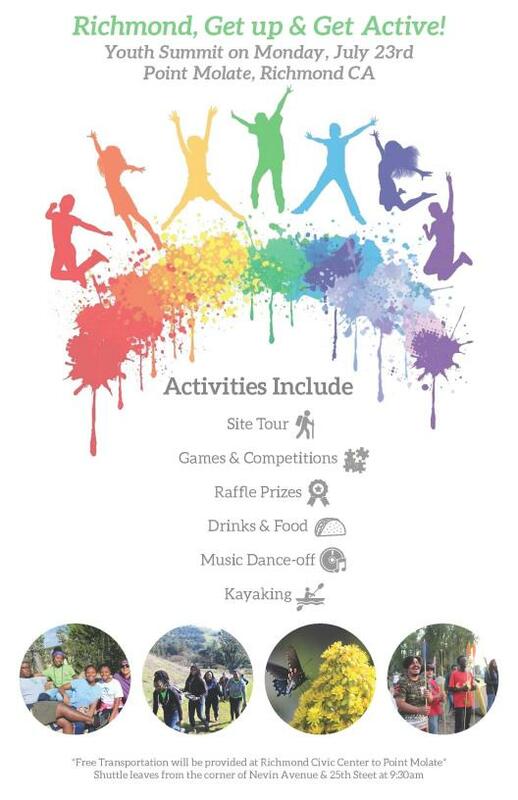 https://www.eventbrite.com/e/point-molate-public-site-tour-july-23rd-tickets-48014287025) and a Youth Summit also on July 23. Citizens for East Shore Parks (CESP) needs your help to preserve and protect Point Molate, an environmental gem now being considered for development. Located just north of the San Rafael Bridge, this area of unsurpassed beauty is home to nesting osprey and the Pacific Flyway, endangered plant species, the largest stand of eelgrass that is so important to water quality in the Bay, and a National and State landmark - the first winery in California! Join us to help plan and protect this important and distinctive shoreline! The city of Richmond is moving forward to plan land use at Point Molate, and developers are pushing to maximize construction that could include a substantial number of housing units. Is this what we want along our East Bay Shoreline? Wouldn't it be better to build needed housing where public transit, roads, water and sewer infrastructure already exists? Facing sea level rise, we need to protect open space, public access, ospreys and habitat. Pause a few minutes and think about it. Once open space is lost, it can never be reclaimed, it is lost forever. To learn more and participate in the planning for Point Molate, take two easy steps. First: Come to the Forum sponsored by the Point Molate Alliance to learn more about the issues, share your views, and help plan our next steps. Bring your family, your friends and neighbors, the Forum is free and open to all. 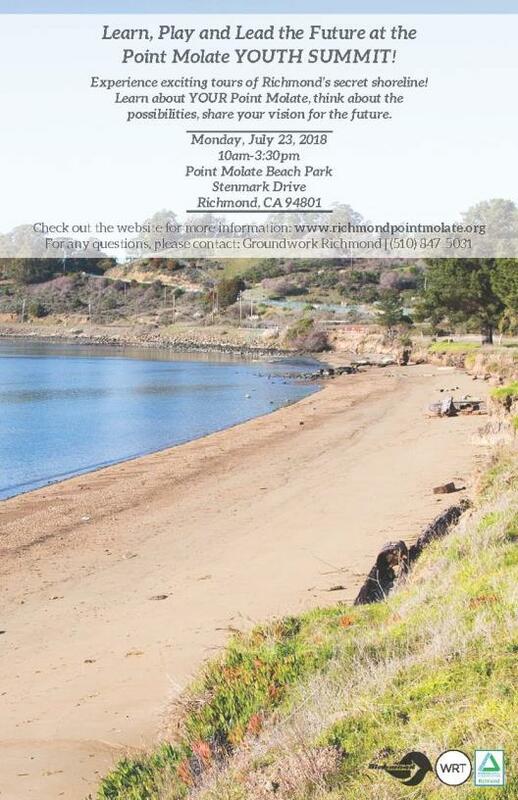 RSVP at cespmanager@eastshorepark.org (or call 510.524.5000) so we know how many will be attending, but it's not required. The Point Molate Alliance is a partnership including Citizens for a Sustainable Point Molate, CESP, Sierra Club, SPRAWLDEF, and many community organizations and individuals. The Forum will provide information on how the public has been excluded, the legal constraints, protecting Point Molate's natural resources, public safety and transportation issues, providing clean water, and generating jobs and revenue. Most important, you will have the opportunity to express your views, ask questions, and help plan our participation in the next stage of the City planning process. The city of Richmond is planning a Youth Summit (ages 13-25) on Monday, July 23, 10:00 am to 3:30 pm, Point Molate Beach Park, and a Community Workshop on Wednesday, July 25, 5:30 to 8:30 pm, Richmond Memorial Auditorium, 403 Civic Center Plaza. To get details, RSVP your attendance, and view all upcoming Point Molate events being scheduled by the city of Richmond, go to the City's Point Molate website, www.richmondpointmolate.org. Second: Contact CESP at cespmanager@eastshorepark.org. Help design Point Molate - from attending the meetings, to participating in the discussion, to helping us produce and distribute information, to supporting and donating to help get the job done. Whatever happens at Point Molate is up to each of us, working together. It is well worth the effort. Help us continue to protect open space in one of the nation's most densely populated urban areas.